One of the most important industrial innovations in the 20th century was just-in-time manufacturing. Pioneered by Toyota in auto assembly plants, the methodology was aimed at speeding production and reducing inventories. Parts would arrive on the assembly line just when they were needed and any glitches that emerged would be dealt with in real time by assembly workers and their supervisors. Something akin to just-in-time manufacturing is now coming to the interactions between brands and their customers — and it has the potential to transform the way people purchase products and services. Think of it as just-in-time customer engagement. 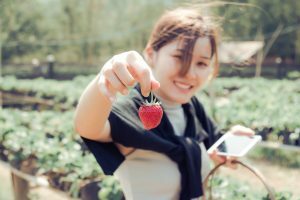 This kind of engagement, powered by sophisticated software analytics tools, enables brands to enhance their knowledge of who a customer is, what she wants and how she likes to be treated — so the brands can make personalized offers at the optimal time and in a way that the customer will be most receptive to. Just-in-time manufacturing ushered in an era of hyper-efficiency for manufacturers. Just-in-time customer engagement promises to greatly improve customer satisfaction, and, for brands, to win customer loyalty and to boost revenues and profits. The way brands interact with consumers is changing rapidly these days because of advances in technology. Smartphones, nearly ubiquitous Wi-Fi and 4G coverage (and, soon, 5G), cars loaded with digital technology and IoT sensors scattered everywhere make it possible for brands and consumers to interact with one another at any time and in any place. This great convergence of devices, software and networks gives rise to the connected consumer — a phenomenon that is reshaping how people shop and relate to brands. The connected consumer has all of the power of the internet at her fingertips — and she is firmly in control. That ease of access to information means she’s aware of the products and services she might want to purchase, she can easily comparison shop and she expects to receive the most competitive pricing and terms of service. What’s more, she demands a better experience when she interacts with brands, and, in many cases, better means more personalized. She will be loyal only to the brands that truly know her, what she might want to buy and how she wants to be catered to. A brand no longer just interacts with a given individual at a moment in time — whether in a physical store or online. Now, thanks to consumer intelligence technology, brands have the ability to track interactions across time and space, and to use that knowledge to craft customized experiences for each individual, and to make them compelling offers at the optimal time — just-in-time customer engagement. A key enabler of this more satisfying relationship between you and retailers is the ability of their technology to learn. Thanks to advances in augmented intelligence software, brands can learn who you are, what motivates you, and how you like to be treated. The more interactions you have with a particular brand, the better they understand you. And, with a deeper knowledge of who you are, they understand not just what you have bought in the past, but your intent — which enables them to figure out what you might want to buy next. Let’s look at the retail grocery industry. Most grocers rely on mass marketing to draw large numbers of people into their stores. They place promotional ads via newspapers and direct mailings, frequently featuring discount coupons. This strategy treats everybody the same — as if we all had the same taste in food, the same ethnic heritage, the same dietary interests and the same styles of shopping. The items that are put on sale are typically the most popular ones. 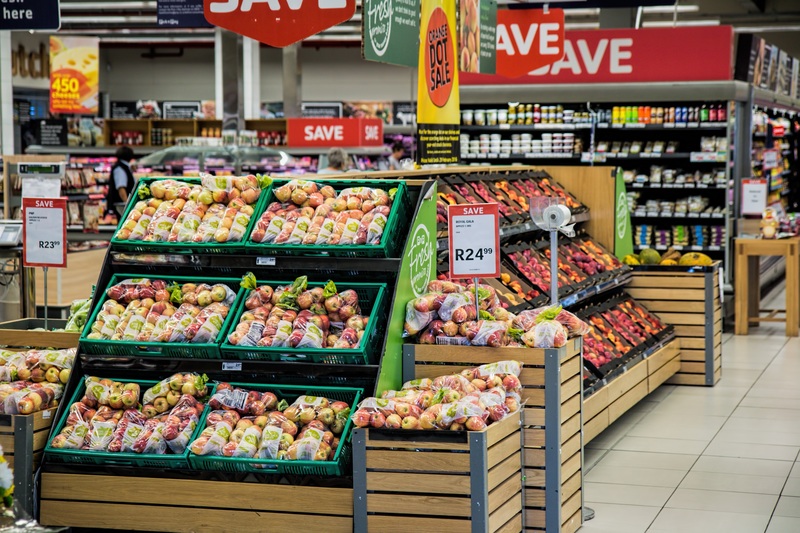 As a result, grocers, which operate in a razor-thin profit margin environment, sacrifice profits to get people into their stores — but they don’t do anything to connect with shoppers as individuals. Even with loyalty card programs that capture huge volumes of customer data, they’re still pushing low-margin transactions rather than building mutually beneficial relationships. Today’s forward-thinking grocery companies are trying a radically new approach to engaging with customers. They’re treating people as individuals and personalizing their shopping experiences. These organizations come to understand us as individuals by gathering tidbits of information from their every interaction they have with us — whether in the store, on the internet or via smartphone apps. From these bits of information, they assemble a persona for each of us. Some people are loyal customers — the type that shops every weekend at the store. Others are coupon clippers. They come in for discounts but don’t visit regularly. Others are digital-savvy customers, who often place orders or interact online. Understanding these distinct personas helps grocery stores better engage with their customers. 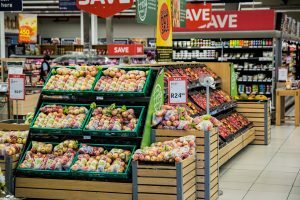 Let me take you on a journey of interacting with a fictional grocery store — an example of the organizations that are now on the cutting edge of crafting better engagement with customers. Let’s say you’re one of those digitally-savvy types and you’re planning a celebration dinner with your husband. You know you’ll want to buy his favorite champagne, Charles Orban Blanc De Noirs. Other than that, you’re wide open to the menu possibilities. You curl up in your favorite chair on the back patio and browse the store’s website — getting started by ordering the Blanc De Noirs. The technology knows from past purchases that when you order this champagne, it’s a special occasion. You’re looking for the absolutely best dishes and ingredients, not for a bargain. It also knows that you’re a vegetarian, so the website offers up a few fancy vegetarian dishes that your profile indicates you might like. One is a delicious-looking beet and cumin soup. You love beets, and the store knows it. The technology also recommends a cheese you never tried before — Délice de Bourgogne, a triple-cream cheese that blends full-fat cow’s milk and fresh cream to create a flavor that it says is both tangy and sweet. It goes for $11.99 per pound; expensive, but, after all, this is a special occasion. In the end, you place an order that includes the cheese and ingredients for the beet soup. It’s quite likely that you would have ordered the beets even if the store didn’t suggest it, but by making the recommendation, it reinforced the strength of your relationship. You might not have chosen the cheese on your own, but the store helps you expand your pallet — for which you’re grateful. You end up buying more items than usual, mainly because the store makes suggestions that are spot-on — titillating your taste buds. A bonus for the store: It doesn’t have to offer you a discount to get you interested in purchasing. And that’s just-in-time customer engagement. While this level of interaction is today practiced only by a few elite retailers, it’s clearly the wave of the future. Customers are pampered with delightful experiences. 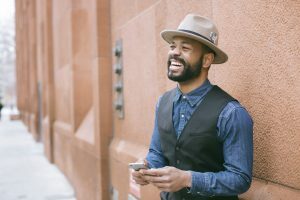 For brands, this kind of engagement offers a pathway to continuous, fruitful interactions with their customers — helping to assure that the retailers thrive in a rapidly changing world where the consumer is boss.